All you need to ensure our products are installed correctly. For your convenience we have included in this page all the Installation Instructions documents you will need to correctly install our products. Find below the manuals for the current products. These are in a PDF format and you should be able to open it from any device or smart phone and print it for your convenience. Below you will also find installation diagrams for some of our current products. 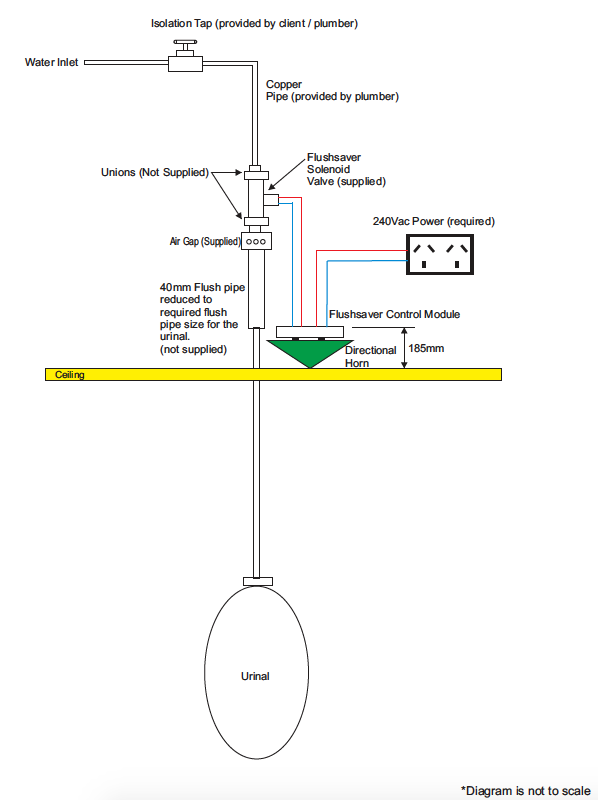 Below is an installation diagram that describes how our FlushSaver system is to be installed. This diagram is for our Sensor Urinal Flushing for Individual Wall hung Urinals.